Firstly, let’s clear up some terminology that often gets confused. Onboarding strategies are not the same as onboarding plans. A strategy defines what you want to achieve or intend to do. A plan specifies exactly how you intend to achieve your objectives and sets out the steps you need to take. One Onboarding Strategy at a time please! We often hear people speak in plural about their onboarding ‘strategies’; but in reality, an onboarding strategy is a singular thing; there should only be one onboarding strategy. An onboarding strategy communicates your goals and objectives and clearly outlines your priorities for stakeholders. It tackles the question of why onboarding is important and considers all of the influencing factors which could mean the difference between success and failure. To develop an onboarding strategy, you will first need to make some important decisions about your overall approach. The following questions should help focus your thinking as you develop your strategy. What do you want to achieve with onboarding? What concerns or problems are you specifically trying to address and how will onboarding help? Why are these goals important and worthwhile for your business? Who are your new hires and how will onboarding need to cater for them? What type of jobs are they employed to do? What are their preferences eg How do they like to be managed? How do they learn? Who is accountable for onboarding? Is there shared accountability and responsibilities? What challenges might this present? How will these be overcome? Is the culture of the organisation conducive to onboarding or is change required? Technology – What part will technology play in onboarding in the future. Staffing organisation and structures – will new roles be required or will old ones disappear? Facilities – Are the current training rooms and resources sufficient? How is onboarding to be funded? How will funding be prioritised? What are the indicators of successful onboarding? How will we measure our performance? How can this be prevented or managed? What can change in the future? How will this impact onboarding? How will the company ensure onboarding evolves with the needs of the business over time? Is growth anticipated in the future? What challenges will this present? Your onboarding strategy provides the framework for all your future onboarding decisions. Every initiative that you include in your onboarding plan must be assessed against your strategy to ensure it makes sense and is likely to produce the right result. With a well thought out strategy, the steps you need to take to deliver an effective onboarding process should become very clear. But just in case, we’ve put together a useful guide to help shape your onboarding plan. 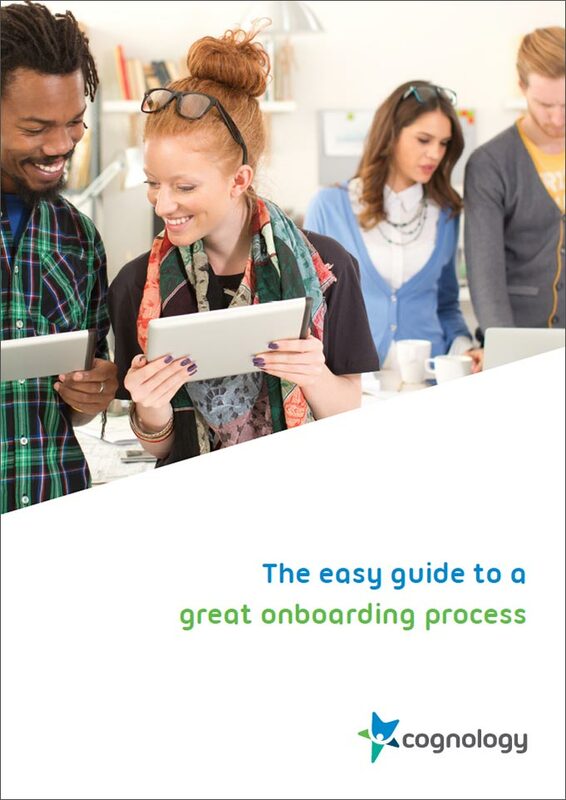 Complete the form above and receive our complimentary whitepaper ‘The Easy Guide to a Great Onboarding Process’.